Toddler Made Ornaments - C.R.A.F.T. Christmas time with our Max baby is just about the best thing ever, and Santa hasn’t even come! (I said that about trick or treating on Halloween too, ha!) But, he just makes everything so exciting all over again and seeing his face light up over a candy cane or a choo-choo or a yellow school bus ornament makes me heart so happy. I decided to start a few Christmas traditions in Casa de Dorobek this year, one of them being making DIY ornaments each year. 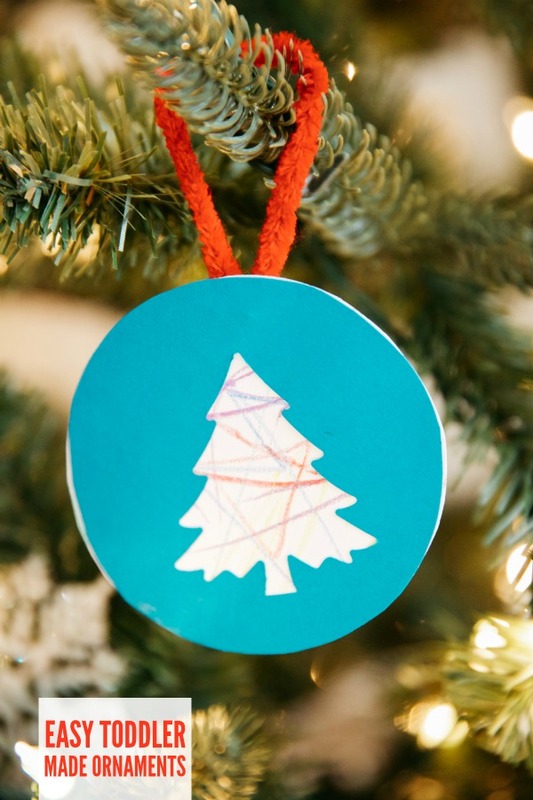 I love the idea of one day having a Christmas tree with 100% kid made ornaments that we’ve saved over the years. The toddler made ornaments are easy peasy and adorable. We made 12 in about an hour! I used a glass from the kitchen to trace circles onto white card stock, and then cut them out. 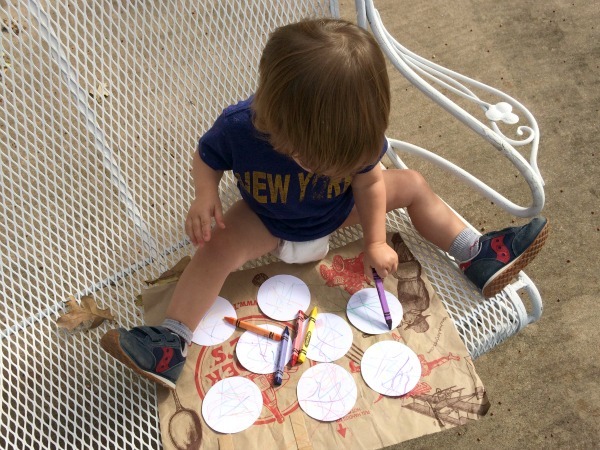 Then, I taped the circles to a brown paper bag, and let Max go to town coloring the circles outside. My baby likes to color! I think he got that from his mama! Then, use the same glass you used to trace the first circles, and trace one more circle for each ornament. Then, use your Christmas themed punch to punch a shape in the center of the top circle. 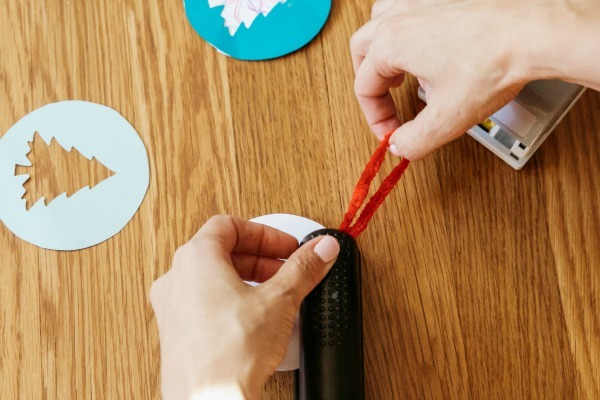 Now, you just need to glue the punched out circle to the top of the doodled on white circle, and voila! Adorable (and easy!) 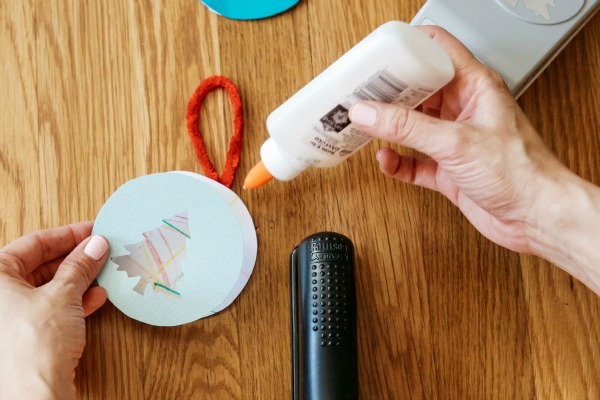 Chrsitmas crafts for toddlers! Then hang them on the tree. Maxwell really likes that par too! Well, he also likes to un hang them or just stick them in the tree or anywhere really! And here is the Dorobek family Christmas tree decked out in non breakable decorations and lots of toddler made ornaments! 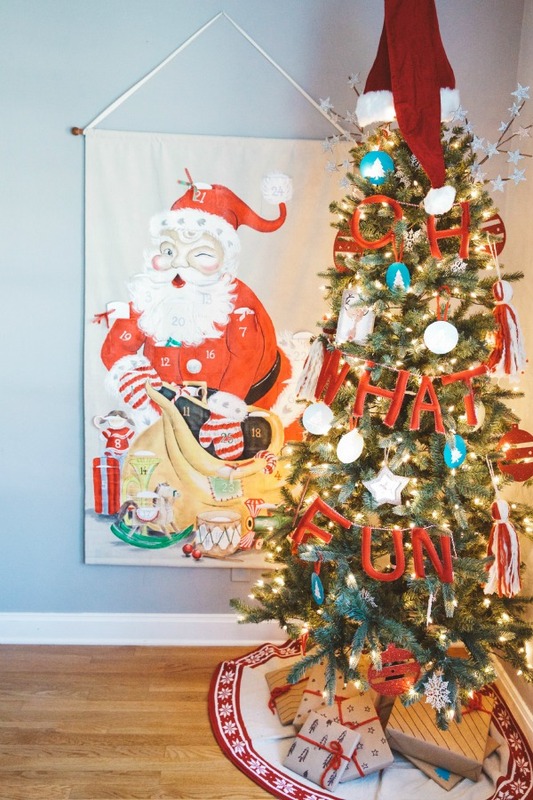 Do you do themed trees? 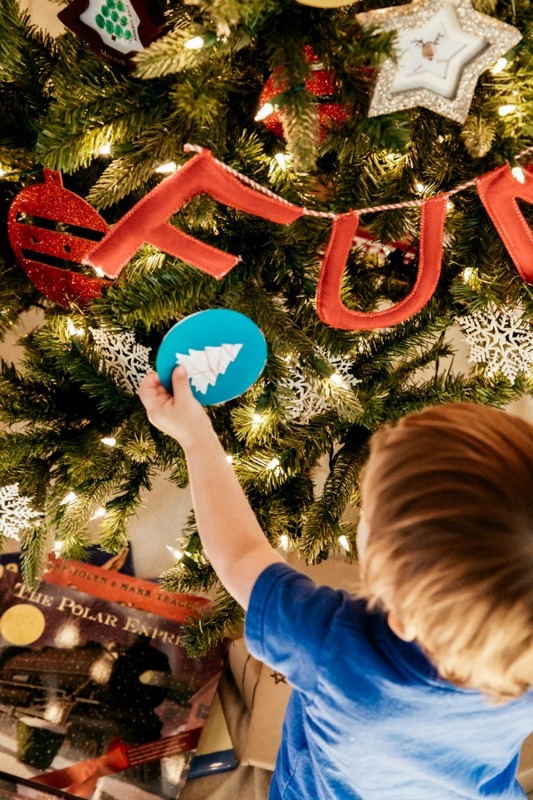 Any other fun toddler made ornament ideas? I’d love to hear! 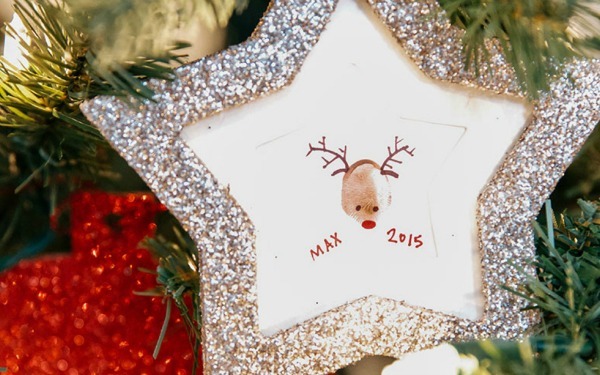 I love the thumbprint in the star glitter ornament so much, I just ordered them online! What’s the approximate size of the paper circle you fit into the frame? I need to make them before I get the ornaments since it’s so close to Christmas. Thanks! What precious keepsakes these are! Thanks for sharing this on Throwback Thursday, and I’ll be pinning this to our board! Be sure to follow! 🙂 Happy Holidays! What a lovely idea. These would be great for grandparents too!